Playtime seeks to offer a relaxed, safe and supportive environment where you and your children can together enjoy some creative activities and the friendship of others. Playtime is open to anyone who has children of preschool age (0-5 years) and who is interested in developing quality relationships with their children and others at a similar stage of life. Playtime helps in a small way, to develop self-confidence and social skills to prepare them for kindergarten and/or prep. It’s great to encourage the children as they cope with the problems of co-operating, sharing and playing with others. Children of this age are exploring art and craft materials, finding out what things do, and what they can do with them. Complete the 2019 BridgeKids Enrolment Form online by clicking here! Click here to download the 2019 Playtime brochure! Friday fortnightly, 7.00-8.30pm during school terms. A fun program for children in grades 3-6. Click here to download the Term 1 planner! For children 0-3 years. Held during the sermon time at the AM and 4.30pm Sunday Services. Drop children off at the Playtime Centre during the song following the Family News/Announcements. For children 3 years to Prep. Held during the sermon time at the AM and 4.30pm Sunday Services in school terms. Drop children off at the Playtime Centre during the song following the Family News/Announcements. Using contemporary teaching styles, our leaders seek to train young people in the Christian understanding of life. Kids are loved and accepted in a safe, positive and caring environment. For children in grades 1-6. Held during church approximately 10-15 minutes after commencement of the AM and 4.30pm Sunday Services in school terms. Kids can head out when the Sunday Buzz slide appears on the Big Screen. Sunday Buzz has elements of whole group interactive input, small group activities, small group discipleship, kids worship, memory verse games and more! Kids are escorted to and from the ministry area by our Precinct Welcome Team. Sunday Buzz children return to main church area at 9.30am (for 8.00am service) and 11.30am (for 10.00am service). For children aged 3-10 years. Held during the sermon time at the AM and 4.30pm Sunday Services during the school holidays. Children head out to the Holiday Buzz areas during the song following the Family News/Announcements. Children in grades 1-6 will be escorted to and from the ministry area by our Precinct Welcome Team and will return to main church are at 9.30am (for 8.00 service) and 11.30am (for 10.00 service). Held annually during the June/July school holiday period. Kids in grades Prep – grade 6 join together for 3 days packed with fun, food and friends. 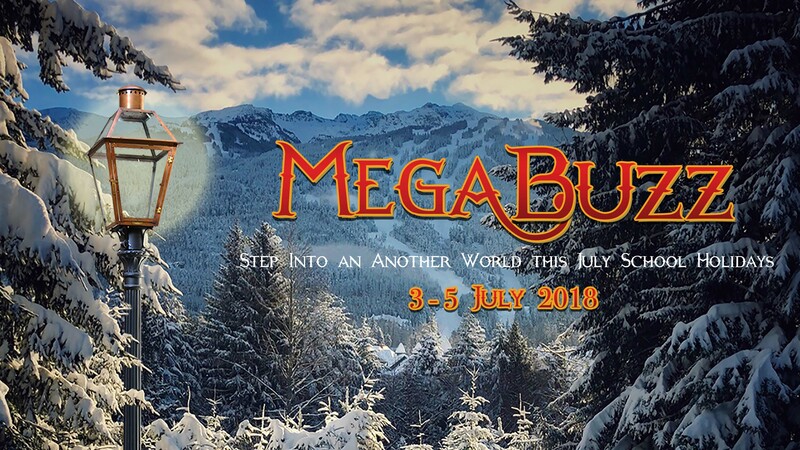 Registrations for Mega Buzz 2019 will open soon!